We currently have the following specials - Availability subject to stock levels. Our specials are always changing so be sure to check back regularly. 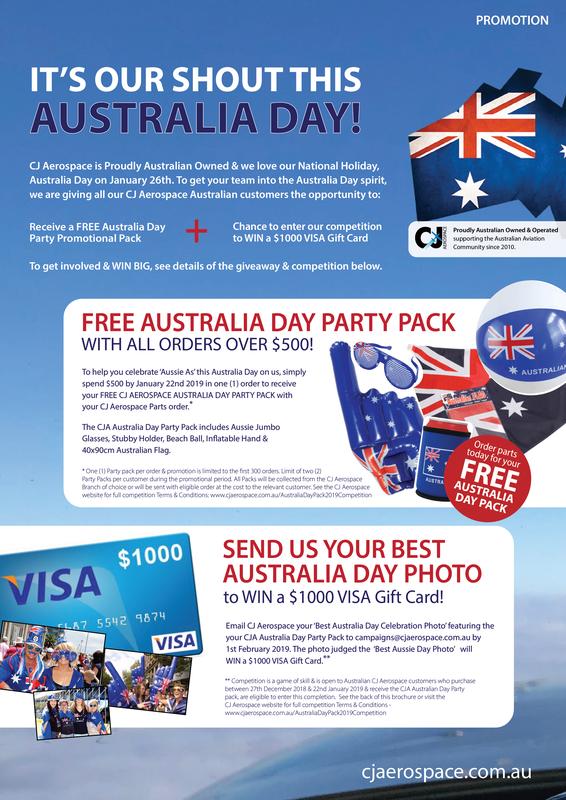 Chance to enter our competition to WIN a $1000 VISA Gift Card. To get involved & win big! See details of the giveaway & competition, click on the brochure below!! 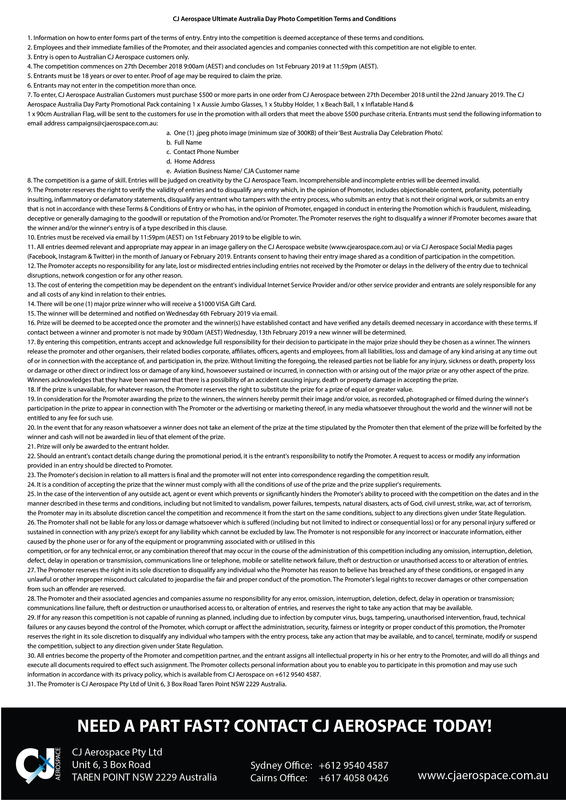 Terms & Conditions for the promotion, click brochure below. Click here to place your order of Eastman Turbo Oil this July. Click here for a Phillips 66 Hydraulic Fluid Promotional Brochure for T&Cs. DE-ICING SYSTEMS.... GET READY FOR WINTER! Click here to enquire about De-icing Systems. BREATHE EASY... COMPLETE YOUR HYDROSTATIC CHECKS TODAY! Click here to enquire about Oxygen Bottles and Regulators NOW!